Oddly enough, yet another one of my favorite "little thing" moments happened in the kitchen! 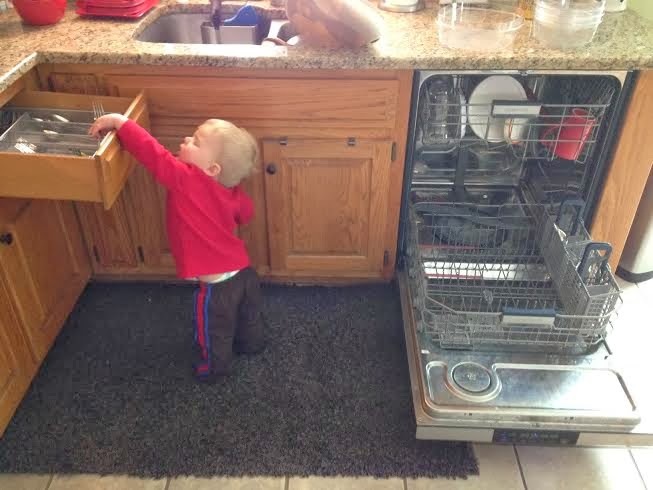 A few weeks ago, Brantley was watching me unload the dishwasher and decided he wanted to help. 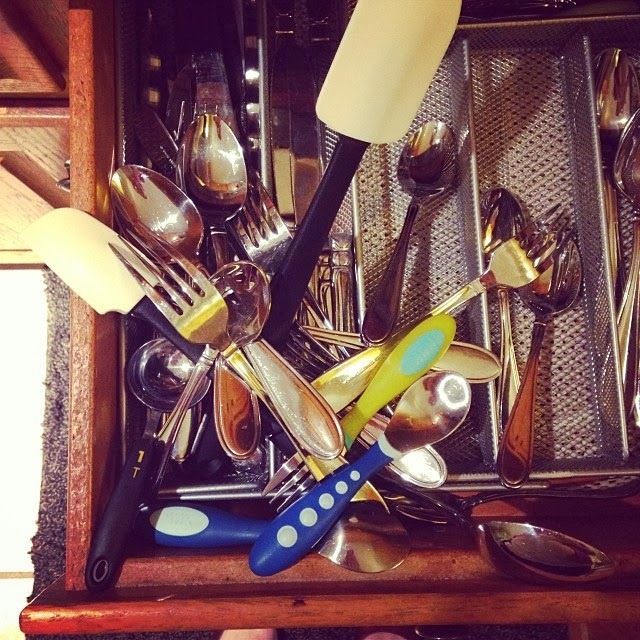 So one-by-one, he took the clean silverware from the dishwasher and put each in the drawer--just like he watched me do. And ever since then, this has been his job. He loves it. And, despite a little extra work on my part, I'm not going to argue. Because I know someday, soon enough, he'll be complaining about the same thing. Hi!! Stopping by from the link up!! Love that mess you've got there! Too cute! 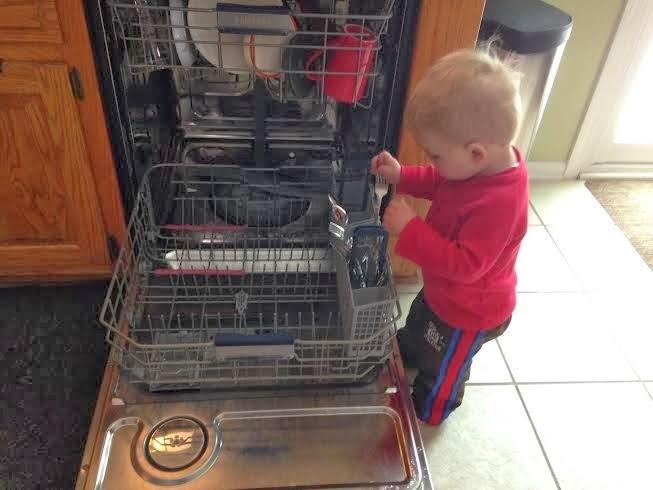 What a little helper! 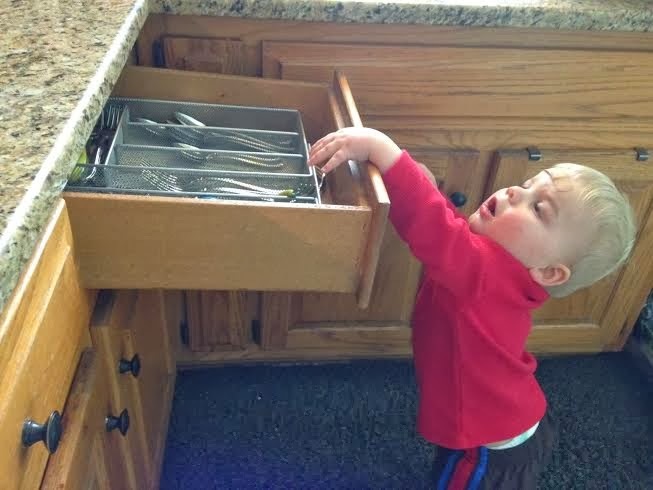 Oh my, what a sweet little helper!!!!! Love that, the perfect little thing! Thanks for being a part of this! Hi! 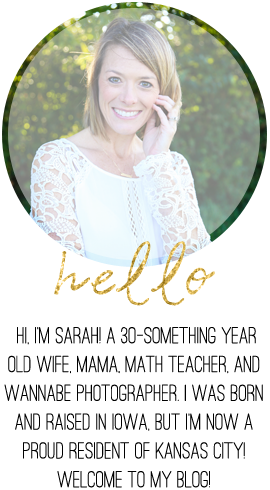 Visiting from the link-up! What a sweet helper you have! !